The Jawne , the Jewish Reform Grammar School in Cologne, founded in 1919, was the only Jewish grammar school in the Rhine-Ruhr region. In the first years of National Socialist dominance, the school at 29-31 St. Apern-Straße increasingly catered for children and young people who came from other Rhineland or Westphalian towns, and had been excluded from town and state schools. There was a high turn-over in classes at the Jawne, partly due to the emigration of school pupils and teachers. Dr Erich Klibansky, originally from Frankfurt, had been head teacher of the Jawne since 1929. After the Nazis came to power, he tried to find ways of protecting his pupils and giving them new perspectives. They prepared for emigration by participating in intensive language courses, above all in English and Modern Hebrew. After the November pogrom in 1938, Erich Klibansky persisted in his plan to evacuate his entire school to England with great determination. Even though this project fell through, he was able to take many class groups of girls and boys to England where they were accommodated in pre-arranged Jawne hostels. Erich Klibansky prepared these Kindertransports personally. He found financial guarantors and accommodation in London, Manchester and Liverpool, organised the religious care of the children through connections to local Jewish communities and battled with the authorities to allow his teachers to come to safety in England as leaders of the Jawne hostels. At least 130 children in a total of four Jawne transports were brought to England before Germany declared war. Erich Klibansky remained responsible for the pupils left in Cologne right to the end. Shortly after the forcible and final closure of all Jewish schools in the Reich, he and his family were deported in July 1942 and were murdered near Minsk. Photo credit: Image at the top: School’s out. Jawne 1920ies. NS Documentation Centre of Cologne, Corbach collection. 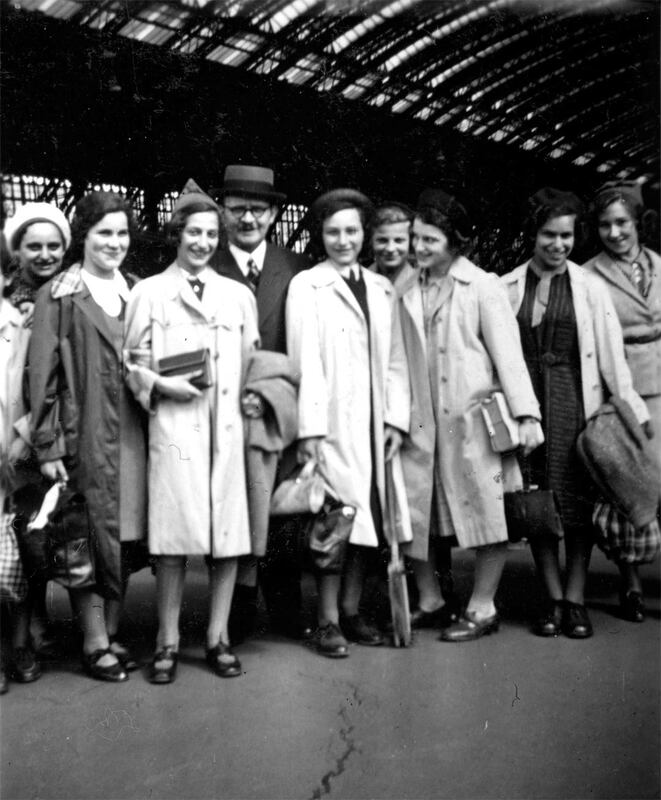 Dr. Erich Klibansky bidding farewell to a group of Jawne students at Cologne main station, July 1939. Photo credit: Zickel family collection.